Here is my incredible 4k monitor with Conkywx version 181207. Some of the conkys actually scroll down, or up if you wanted. The music scroll sideways. Conkywx can be gotten from here. Written by someone who knows a lot about weather, conky, and many other things. The thread to post questions to is on the Ubuntu Forums here. But, I would start from the end, not the beginning. Current: Arch Linux, Fedora 29, openSUSE TW, MX 18.1 Continuum Xubuntu 18.04 LTS and Windows 10. Haha Enziosavio, you and i seem to be going for the same ideal. 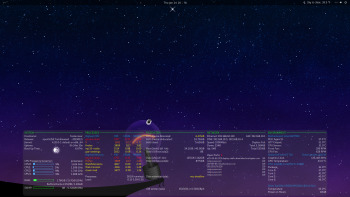 Here's my desktop which also uses Plasma but is setup to emulate Gnome shell to a degree. For those wondering why not just use Gnome. I use KDE mainly because of kwin. Gnome's tiling abilities combined with application workspace specific settings have been buggy for me. 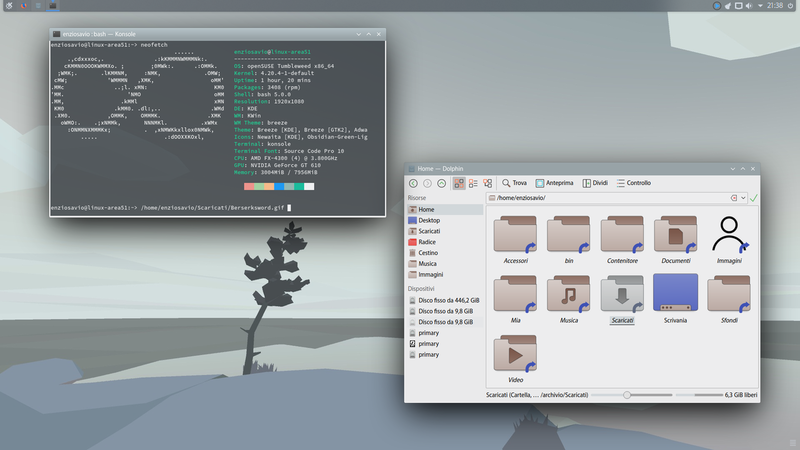 KDE's level of customisation is very much appreciated and kwin specifically has consistently delivered features, customisations and stability that's desired. 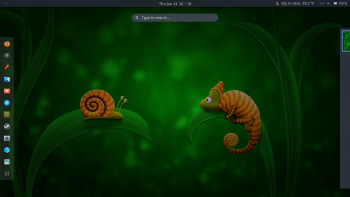 Here is my KDE Plasma desktop inspired by Gnome Shell. This is also my everyday environment. Nice to be back to openSUSE after trying out a few other things. Anyone know how to get rid of the session type duplicates? So got my setup running as i like it... awesomewm, and all my favorite applications. Great job to configure awesomewm, usually those who use these WM has scarce resources, but your computer is instead full of resources.